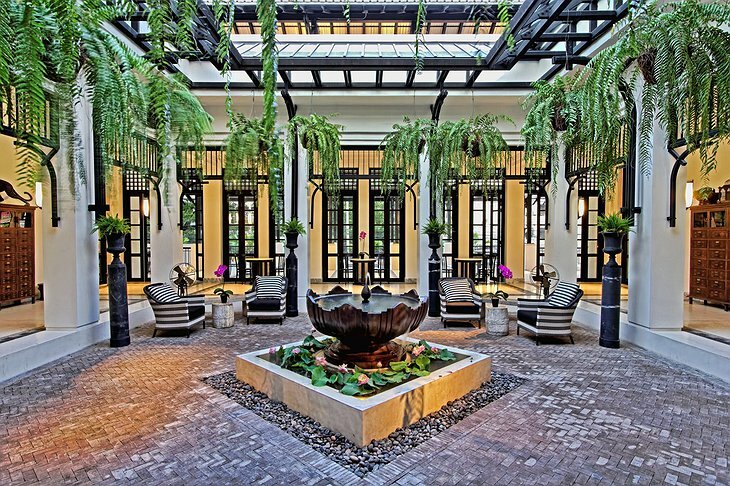 In the crazy heat of Bangkok there is a fine sanctuary on the banks of the Chao Praya River, The Siam Hotel. 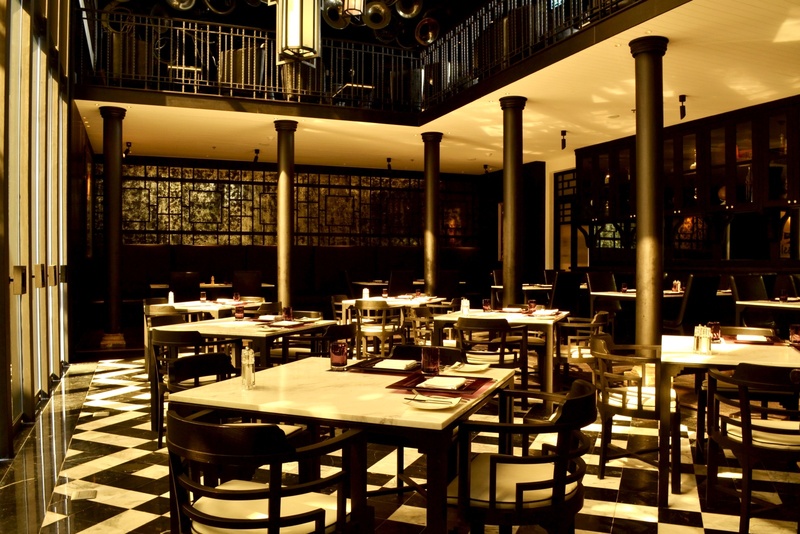 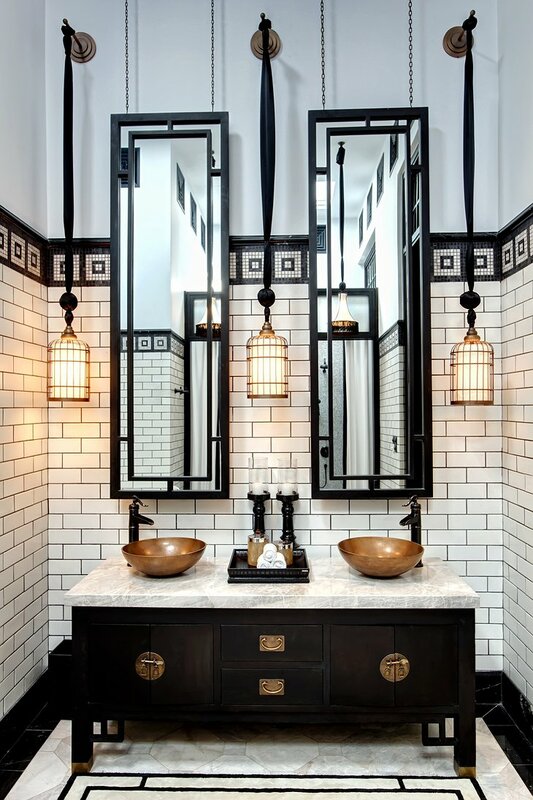 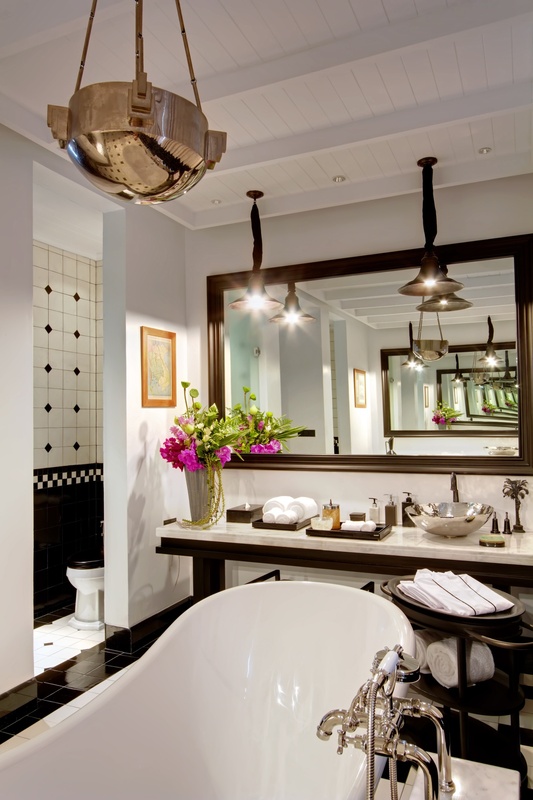 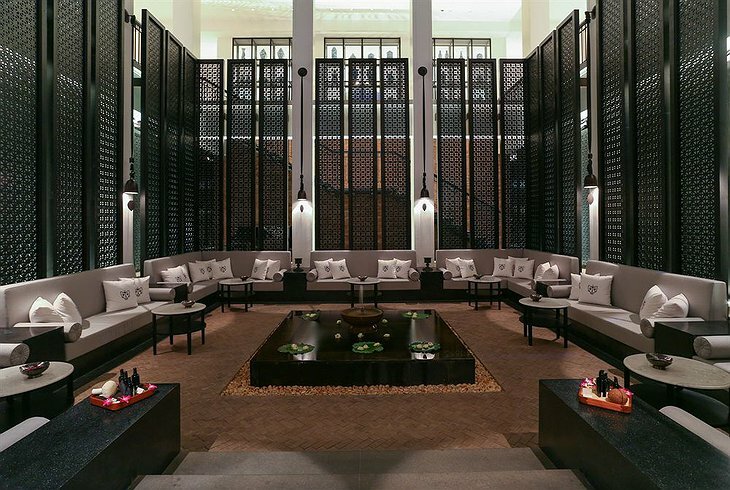 Owned by Thai popstar, Noi, the décor is designed by Bill Bensley and is a fusion of Art Deco and Thai styles. 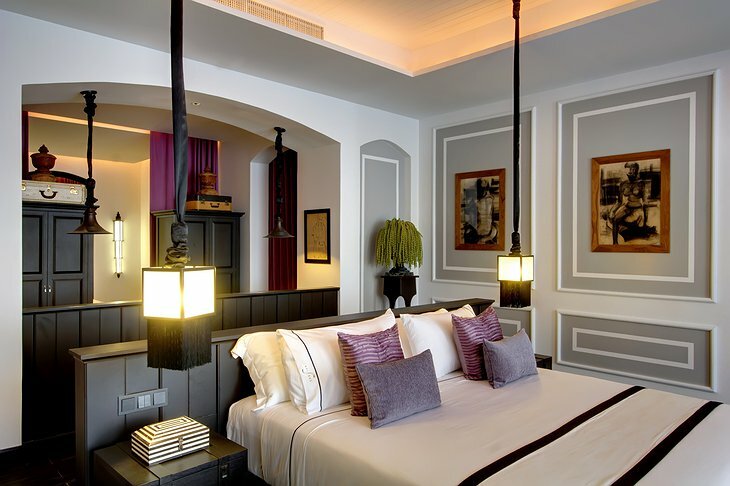 You room is of unique appearance and is chock full of art and antiques owned by Noi’s family. 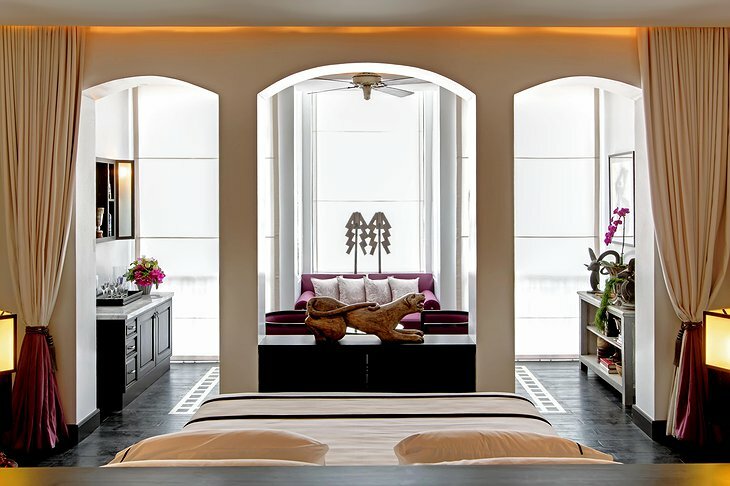 Some rooms are fashioned from teakwood while others have an airy modern feel. 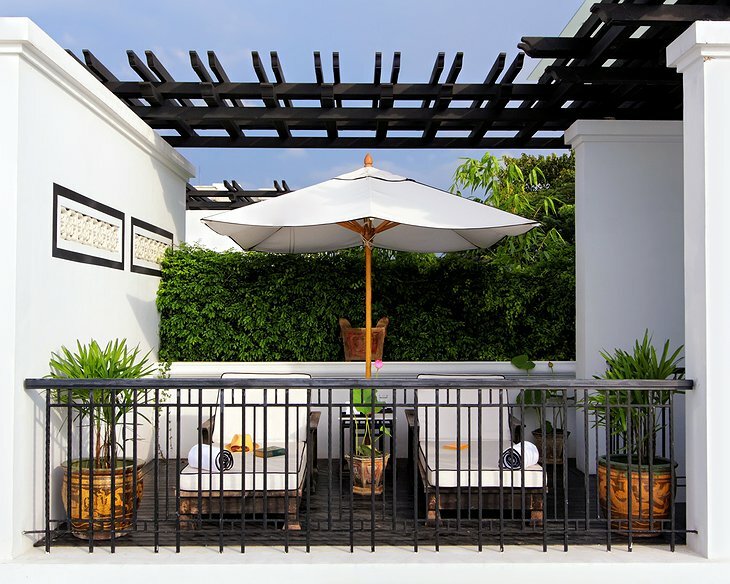 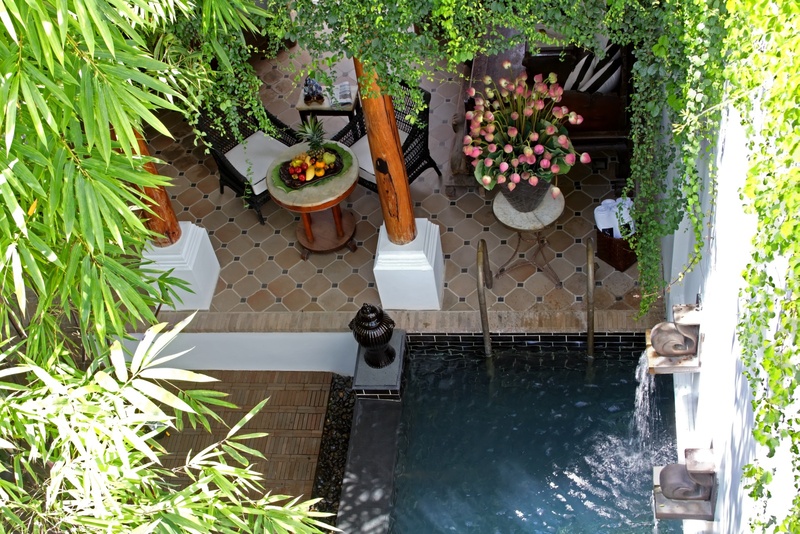 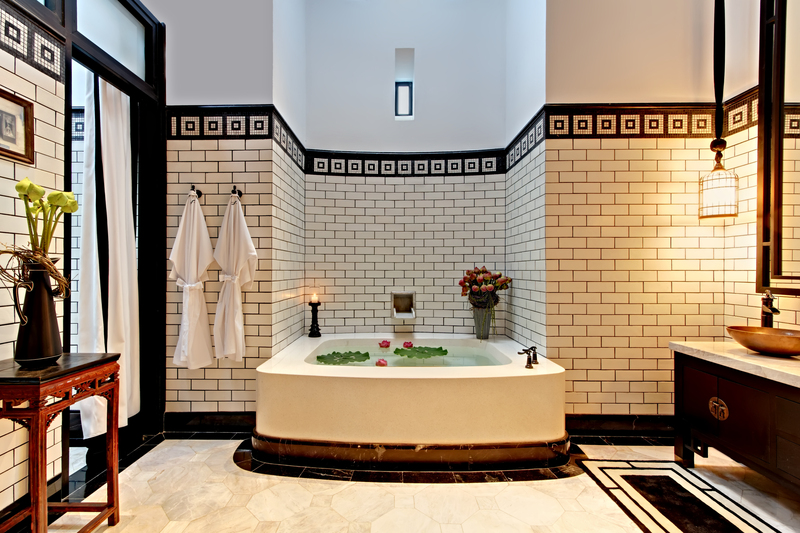 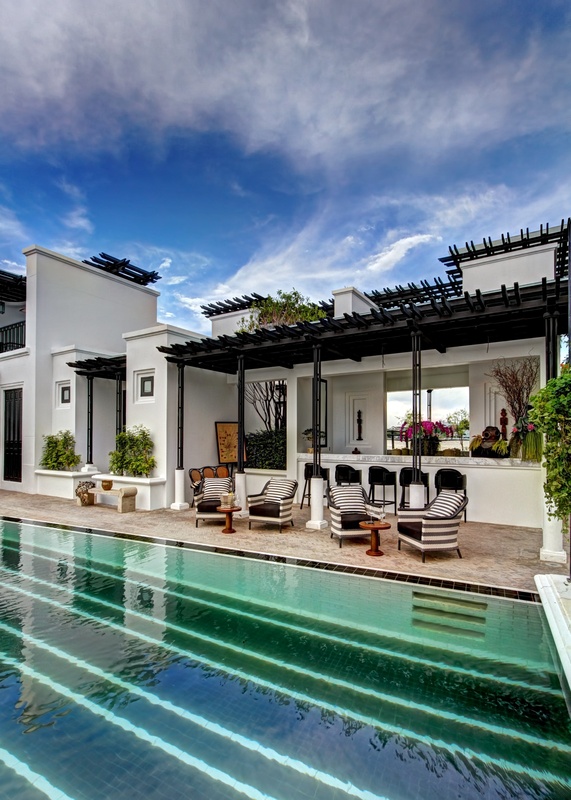 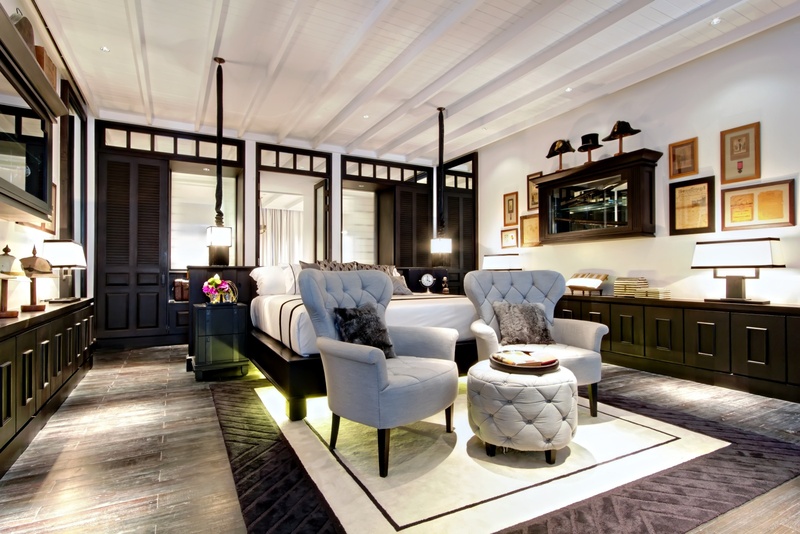 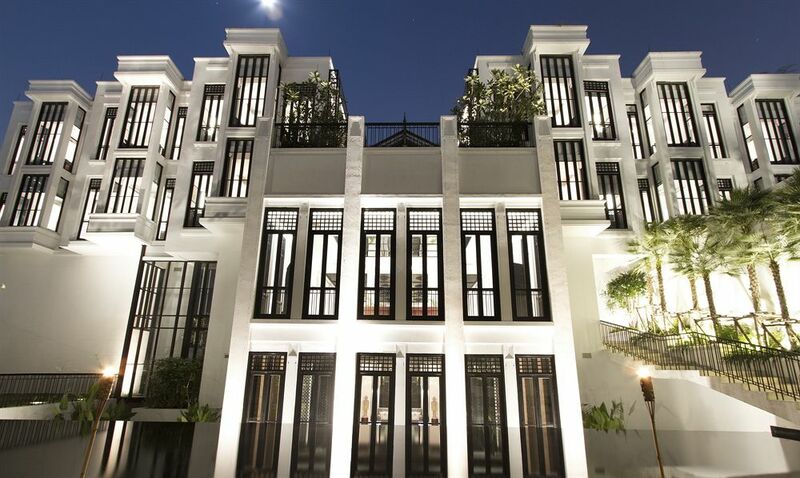 You can also stay in your own private pool villa – the only hotel in Bangkok to offer this option. The Thai restaurant consists of three teakwood houses built in the 1960s. They originally served as a party venue to the rich and famous before being moved here. 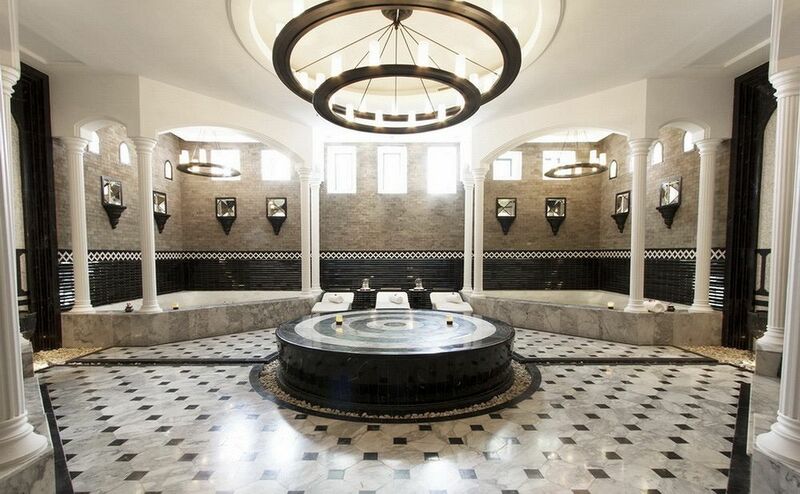 Take a yoga class on the outdoor terrace and then relax in the bath house, steam room and sauna. Does that sound too passive? 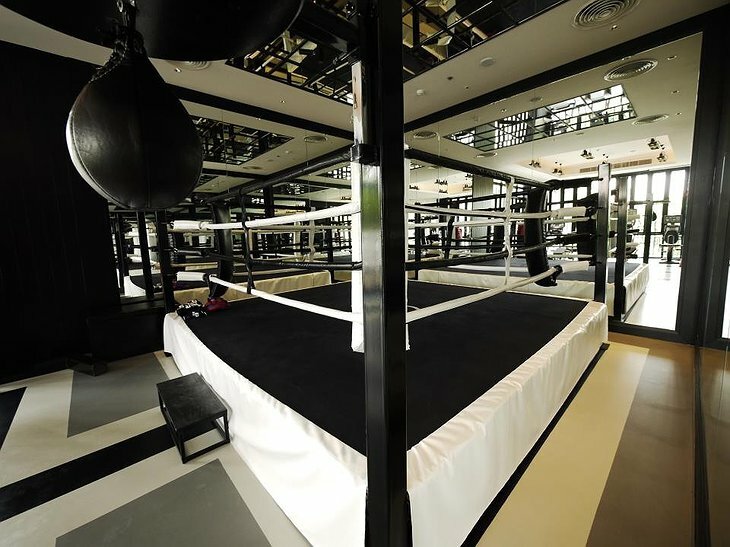 Then take a class at the Muay Thai training centre. 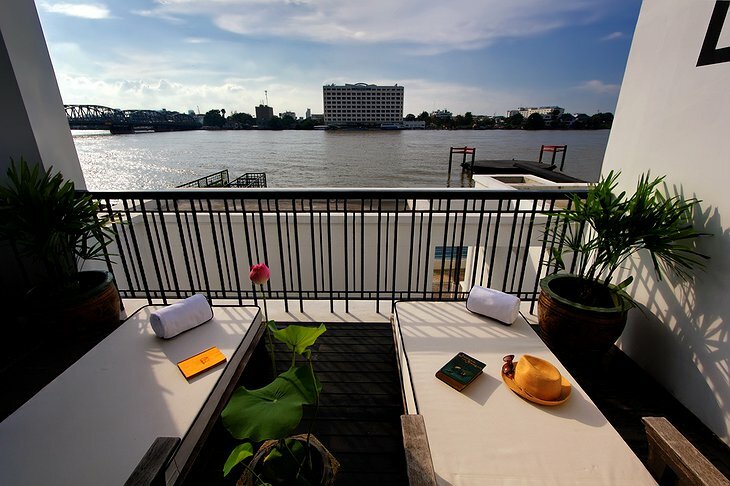 Bangkok is a congested city but you will be able to arrive and leave by speedboat and take a barge for a closer look at the city.